OluKai, a premium ocean lifestyle brand, recently announced their partnership with Cuker’s digital marketing team on strategy for their brand and website, OluKai.com. Together, Cuker and OluKai have concocted the perfect marketing mix including email marketing, search engine optimization, PPC, Google Product Listing Ads (PLAs), and website conversion optimization. 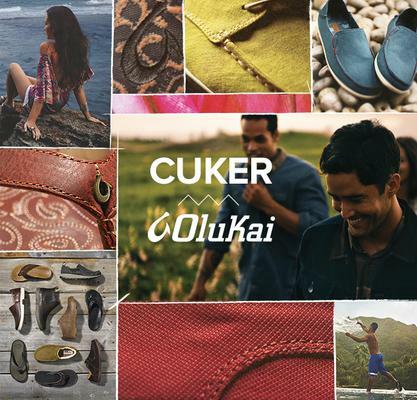 Cuker has already delivered strong results for OluKai including a 200% increase in average revenue per email, increased rankings for both paid and organic search results, and top product placements in Google for PLAs. View full results in our case study here. OluKai was conceived from a desire to create a better class of products for the life we live in and around the water. In every facet of business, OluKai is committed to respecting the people and environments touched by production of their products. They are committed to being environmentally responsible manufacturers supporting and working for a clean environment and a higher quality of life.